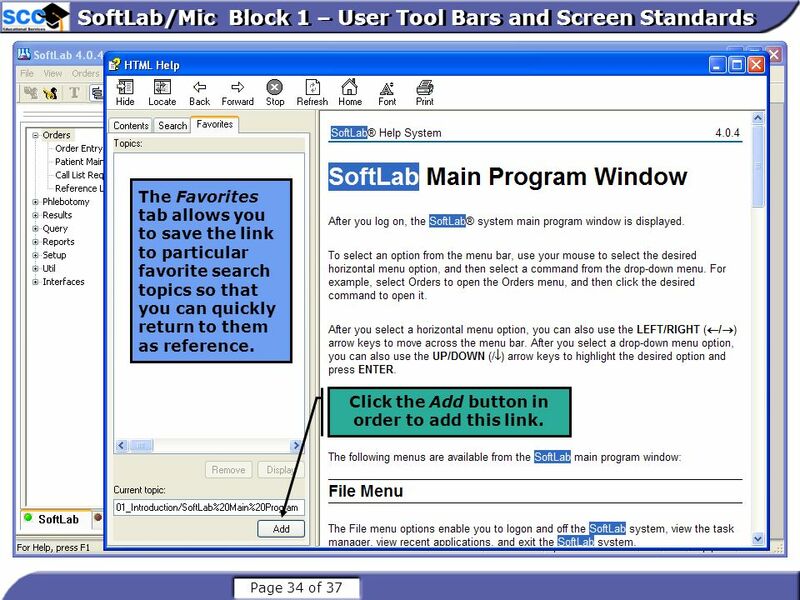 Click the Log on button when you are finished reading this page To log in: Select the SoftLab/Mic icon from your desktop or click the Log On button from within this screen if it is already open. 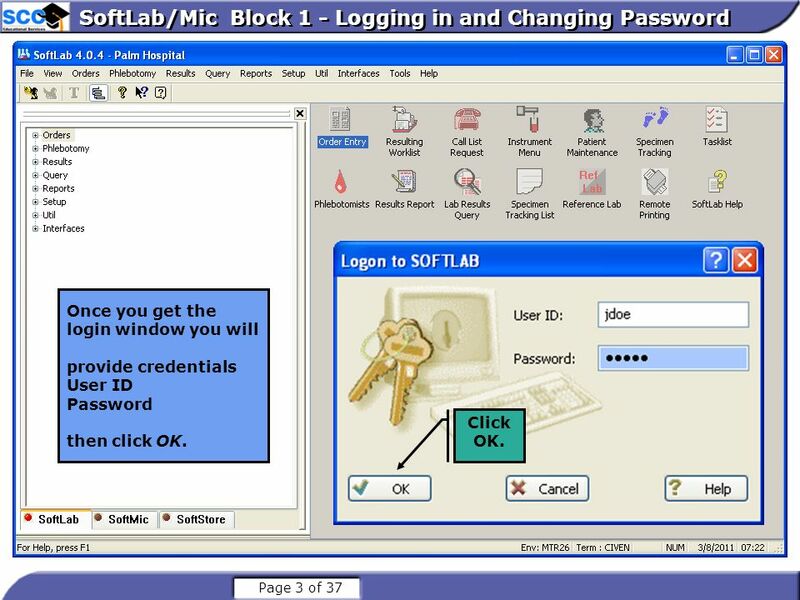 Once you get the login window you will provide credentials User ID Password then click OK. Click OK.
At times, you may be asked to change your password. 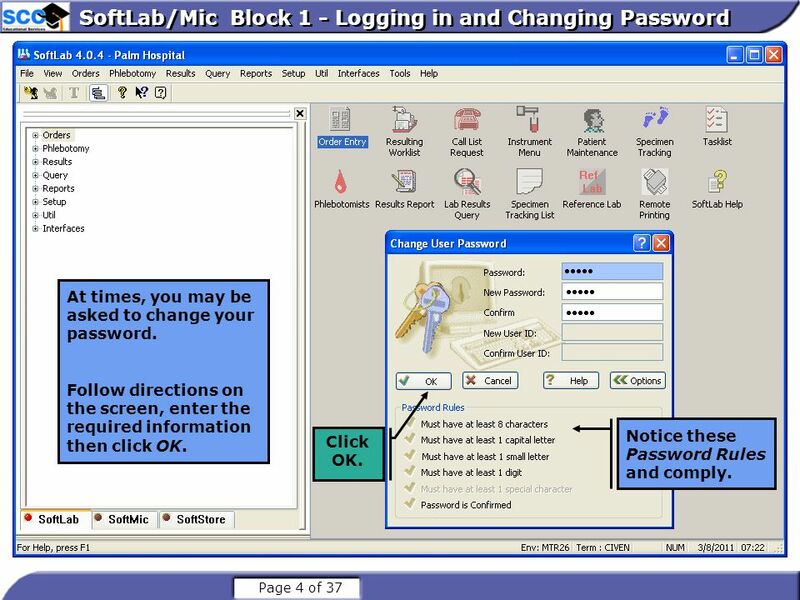 Follow directions on the screen, enter the required information then click OK. Notice these Password Rules and comply. 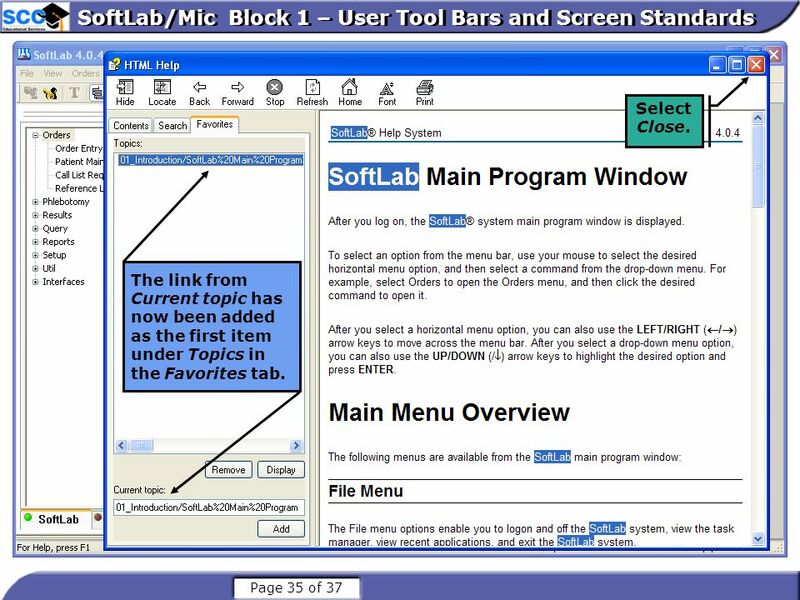 Click OK.
From the Select Site window, you must: select the site then click OK. Click OK.
Notice that the Log on button is now grayed out and the Log off button is available. Notice that the Log on button is now grayed out and the Log Off button is available now. 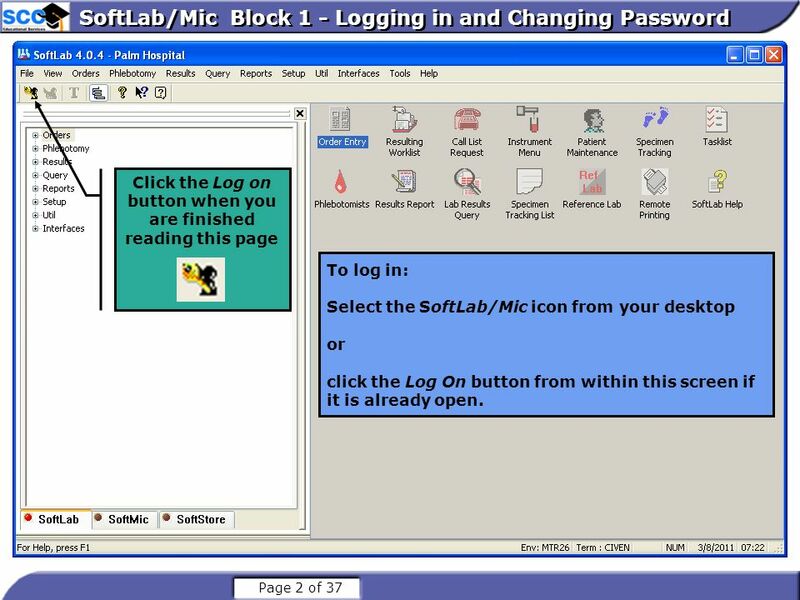 Log-On button - Clicking on this will display login screen for credentials. 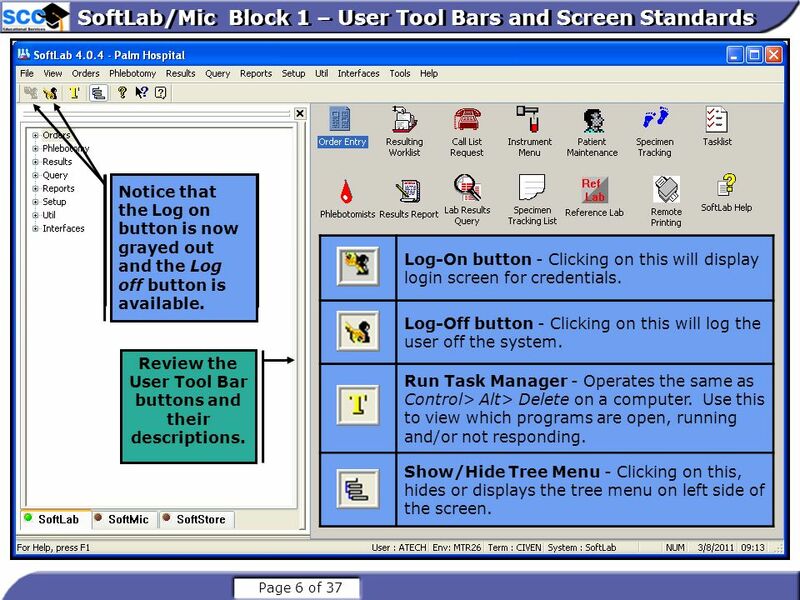 Log-Off button - Clicking on this will log the user off the system. 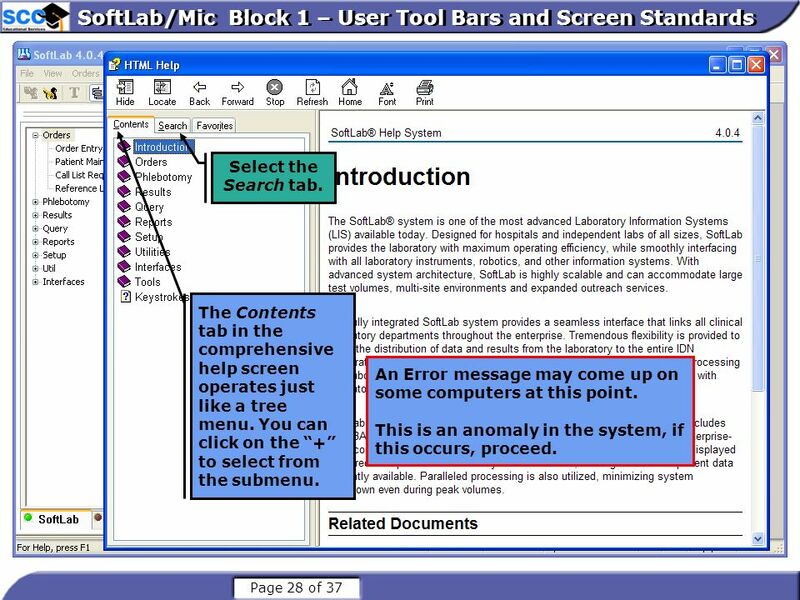 Run Task Manager - Operates the same as Control> Alt> Delete on a computer. 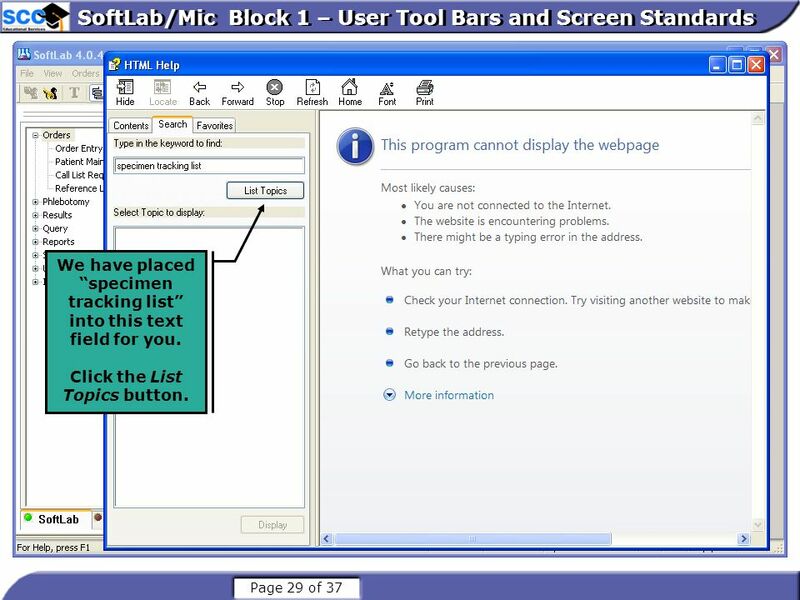 Use this to view which programs are open, running and/or not responding. Show/Hide Tree Menu - Clicking on this, hides or displays the tree menu on left side of the screen. 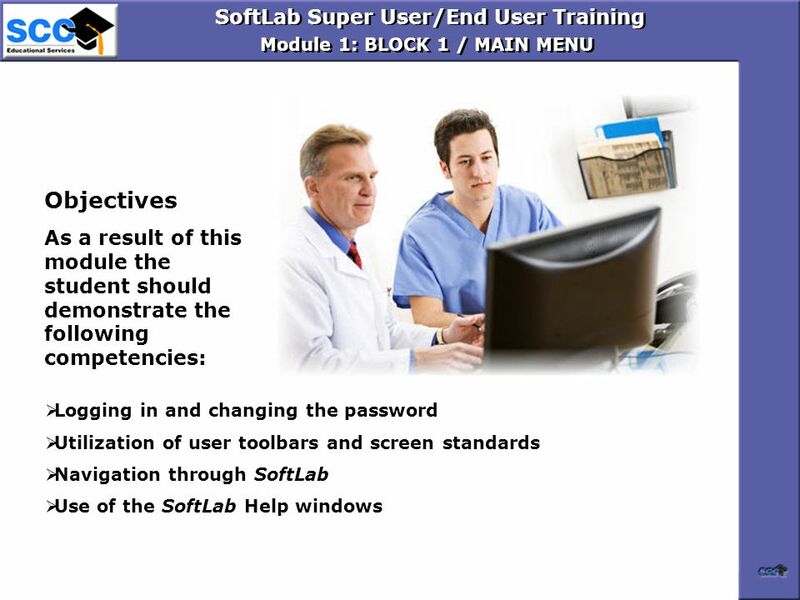 Review the User Tool Bar buttons and their descriptions. 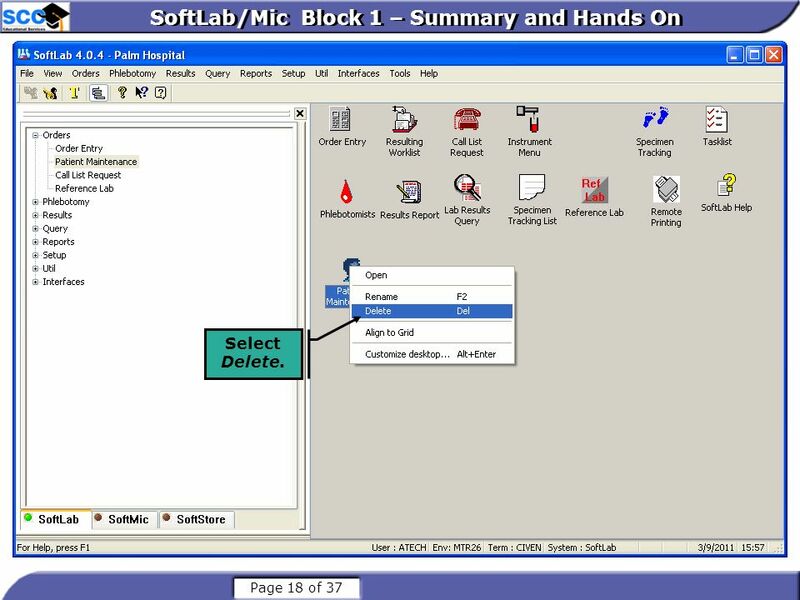 About – Clicking on this provides version and environment information. 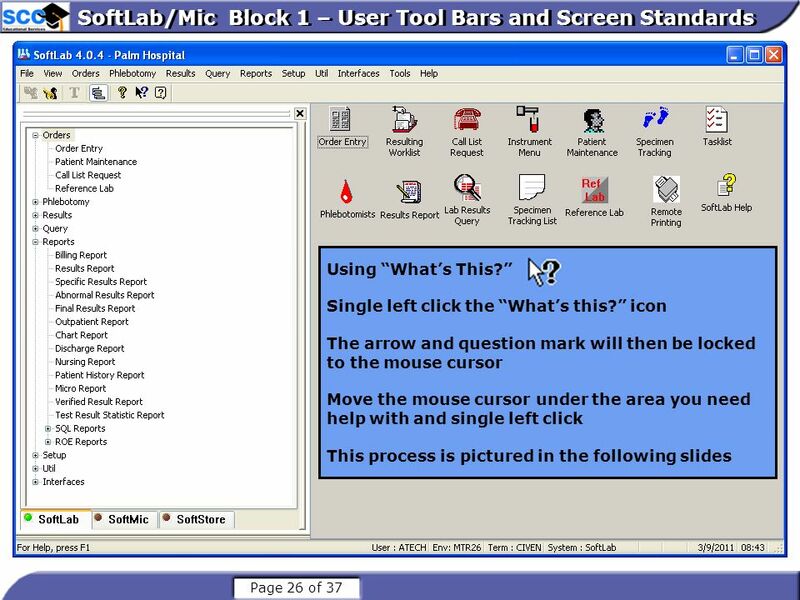 Help - (“What’s this?” button) click on this and you can move the cursor under a specific area and get help with your questions. 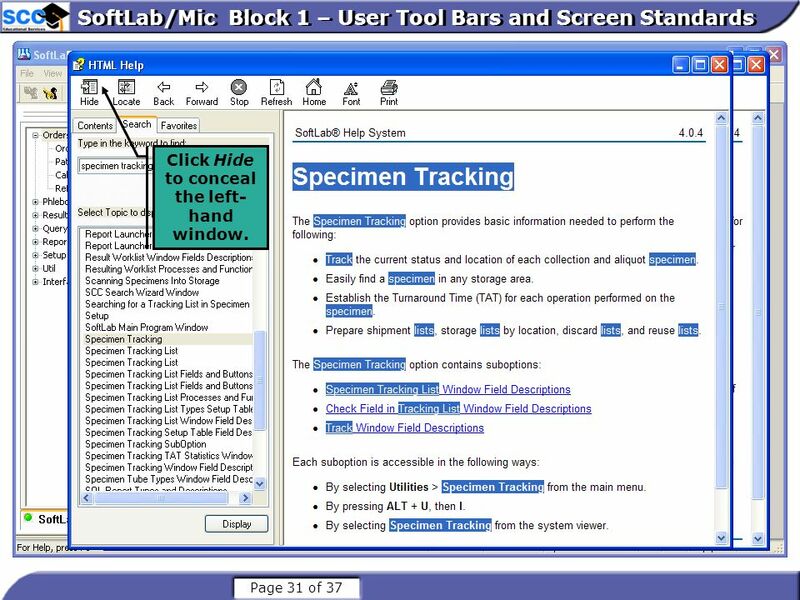 Help Topics - Clicking on this brings up a comprehensive, searchable help manual similar to what you might find for Microsoft Office products, etc. 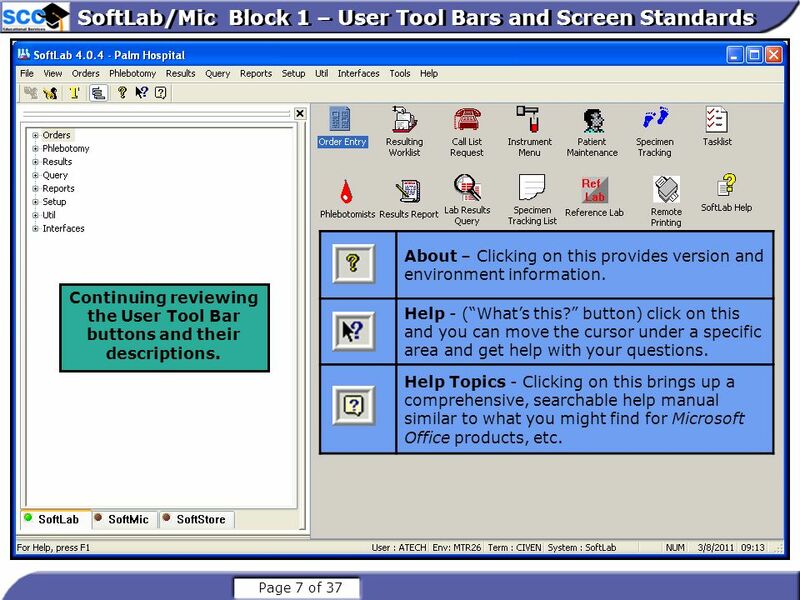 Continuing reviewing the User Tool Bar buttons and their descriptions. Click on this + button in order to see the suboptions under Orders. 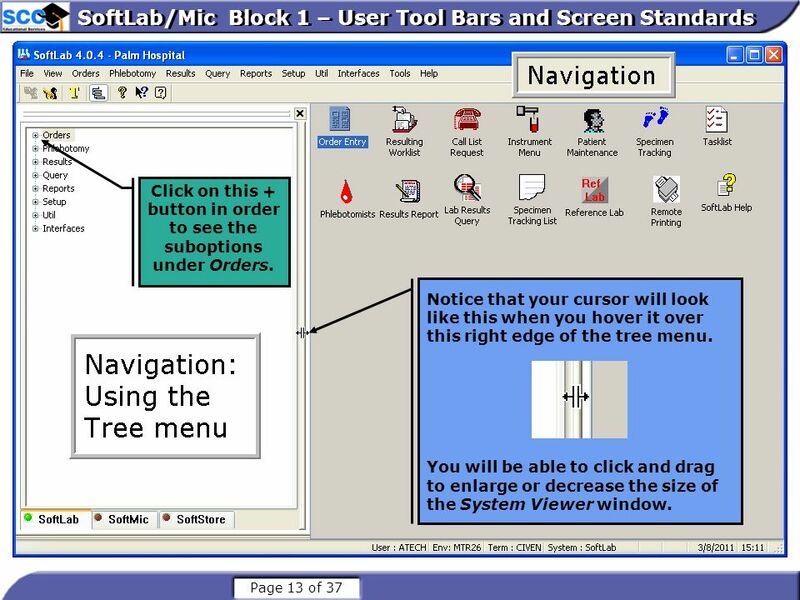 Notice that your cursor will look like this when you hover it over this right edge of the tree menu. 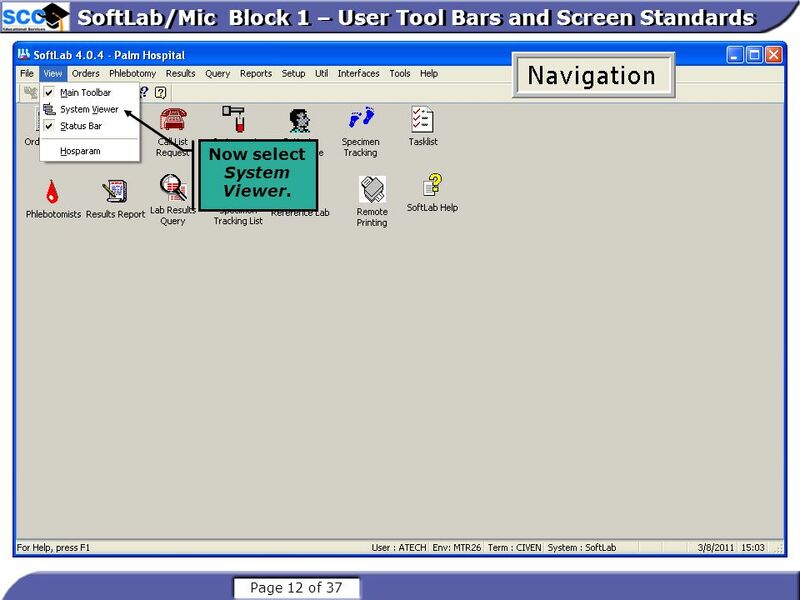 You will be able to click and drag to enlarge or decrease the size of the System Viewer window. Reports, Setup and Utilities have secondary suboptions under their primary which are available by clicking it’s + sign. 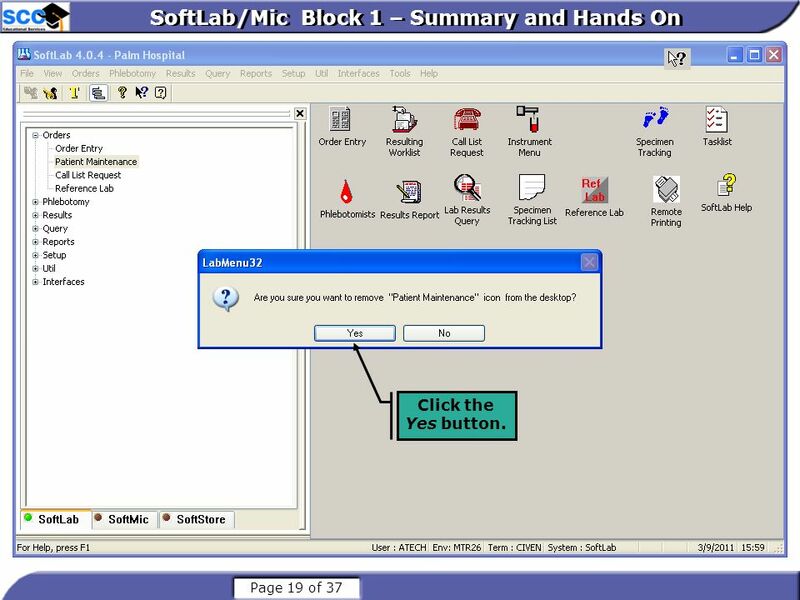 15 SoftLab/Mic Block 1 – Summary and Hands On Click Patient Maintenance. 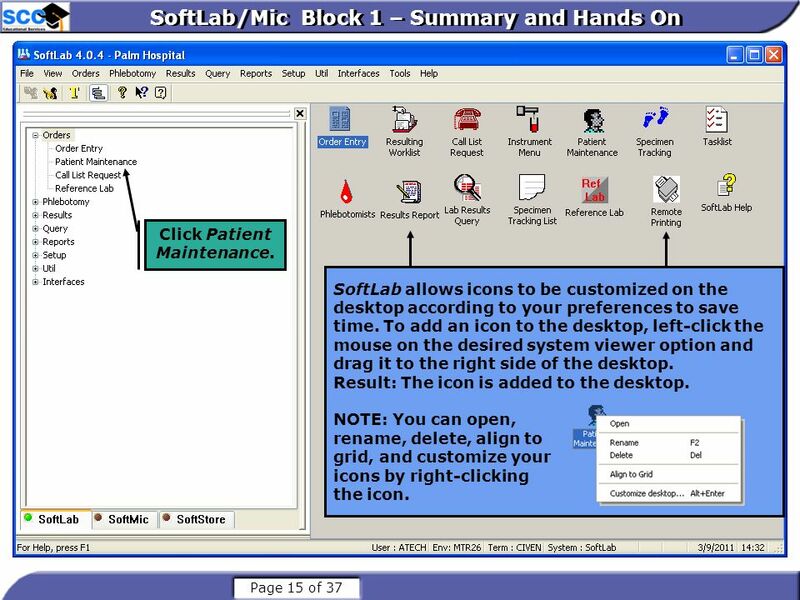 SoftLab allows icons to be customized on the desktop according to your preferences to save time. 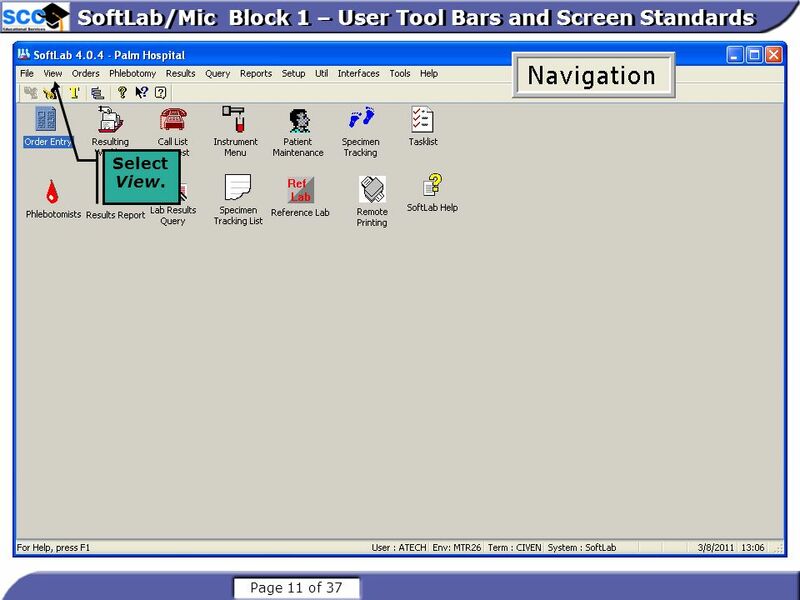 To add an icon to the desktop, left-click the mouse on the desired system viewer option and drag it to the right side of the desktop. Result: The icon is added to the desktop. 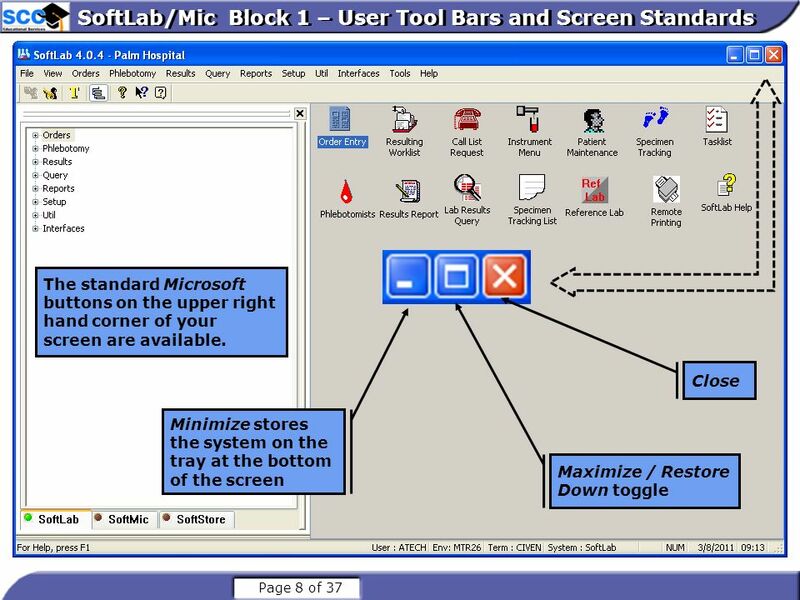 NOTE: You can open, rename, delete, align to grid, and customize your icons by right-clicking the icon. 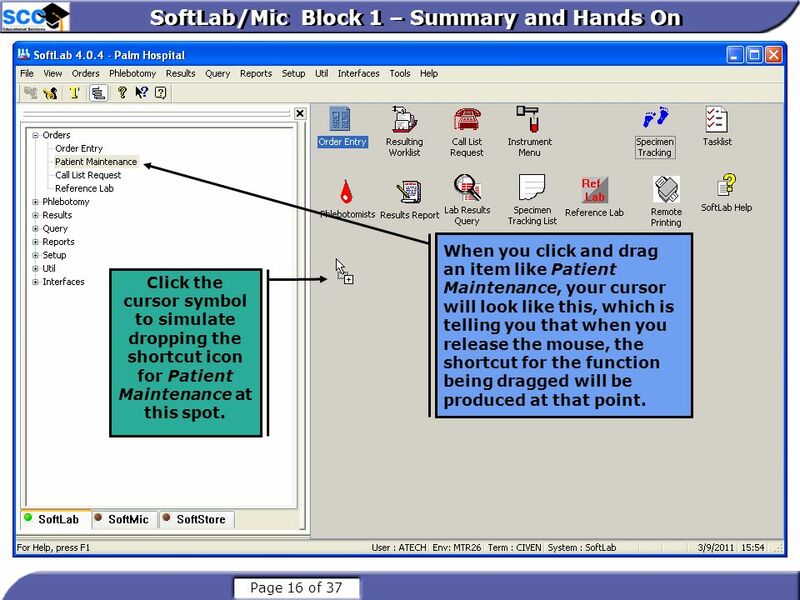 When you click and drag an item like Patient Maintenance, your cursor will look like this, which is telling you that when you release the mouse, the shortcut for the function being dragged will be produced at that point. 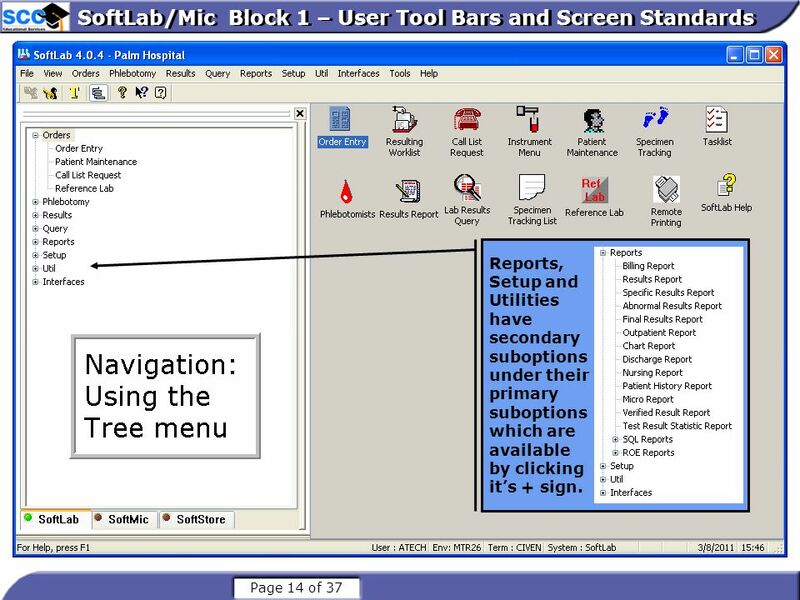 Click the cursor symbol to simulate dropping the shortcut icon for Patient Maintenance at this spot. 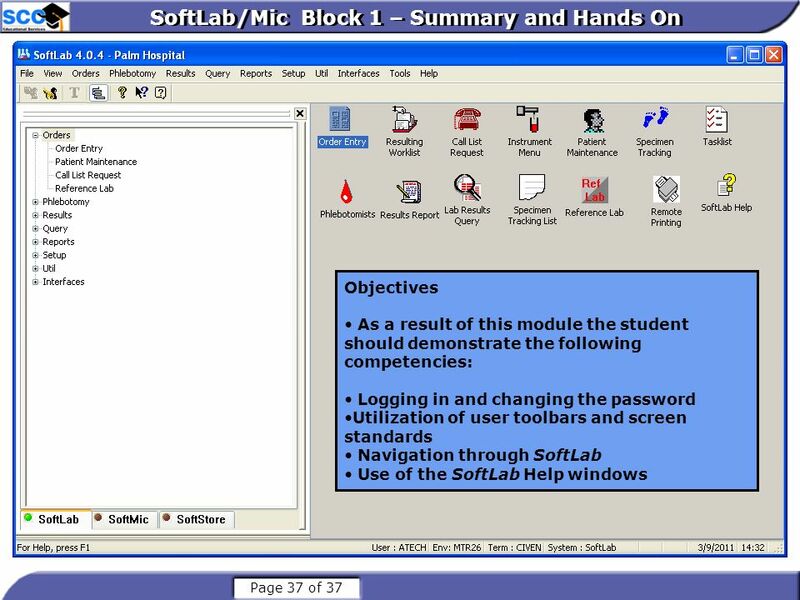 Now, in order to learn how to delete an icon, click on this icon, in the actual module you would right click. 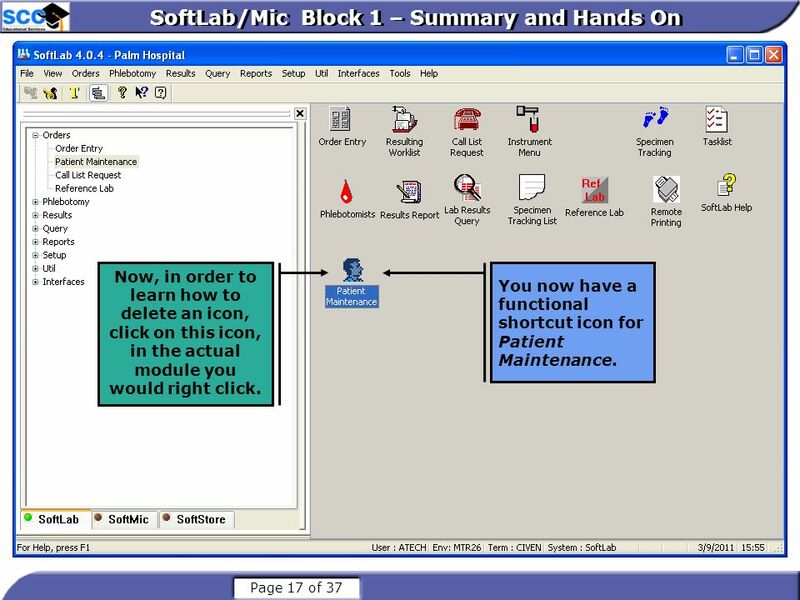 You now have a functional shortcut icon for Patient Maintenance. 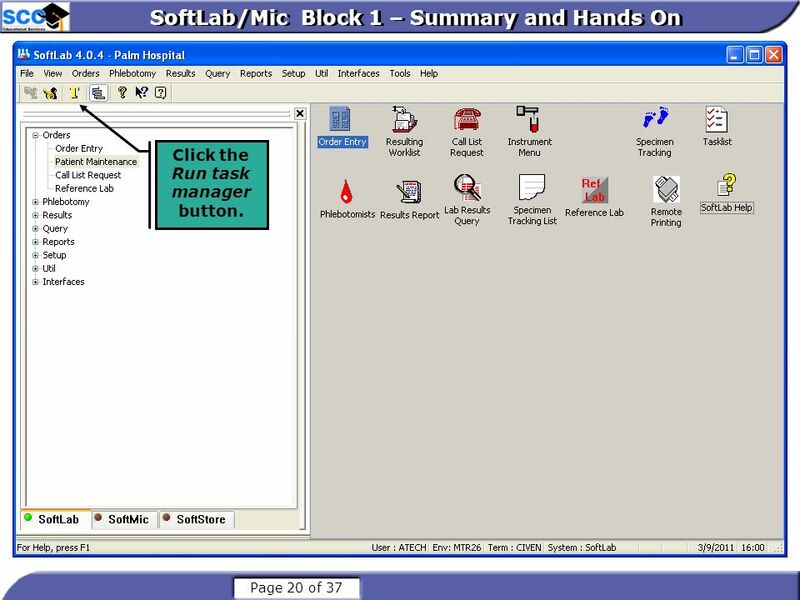 Click the Run task manager button. Click the Yes button. 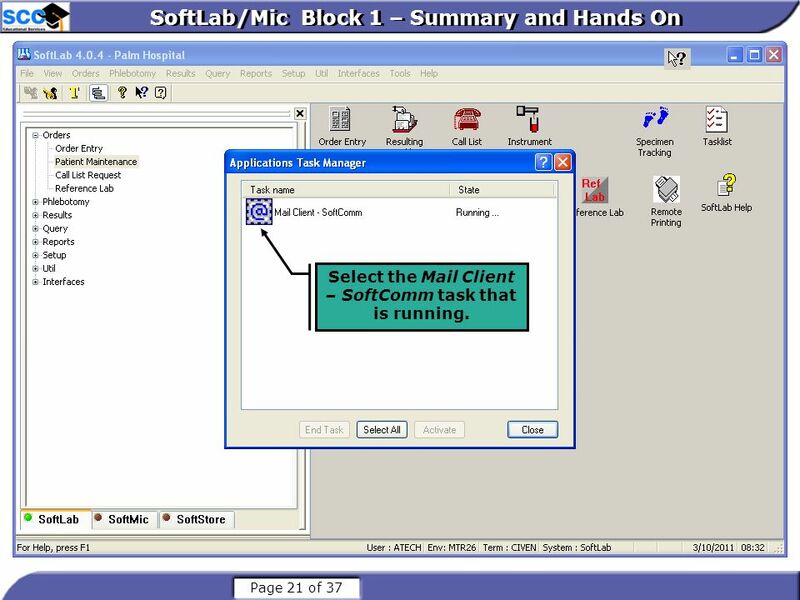 Select the Mail Client – SoftComm task that is running. 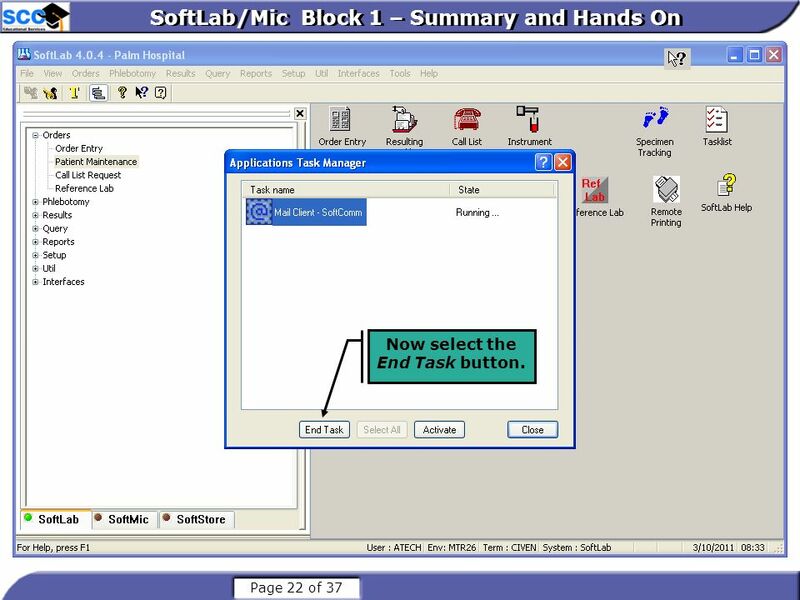 Now select the End Task button. 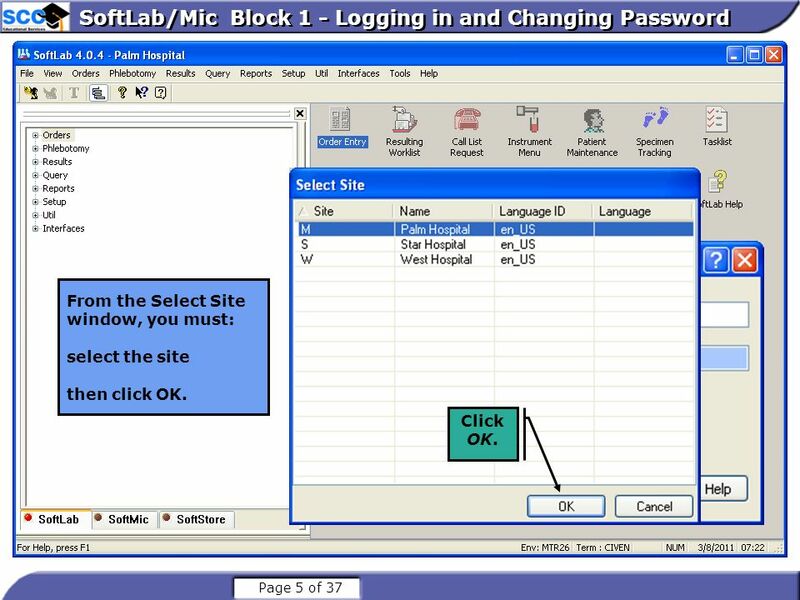 Click the x button in order to close this window. 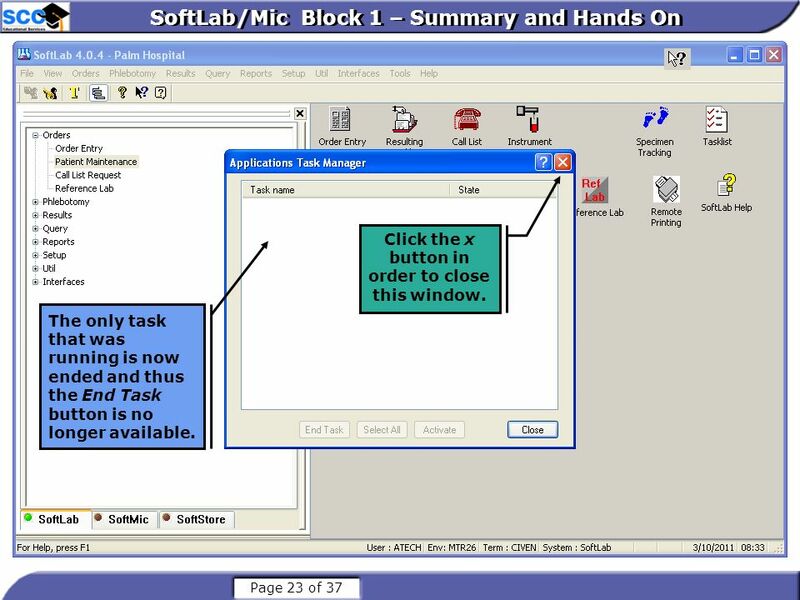 The only task that was running is now ended and thus the End Task button is no longer available. 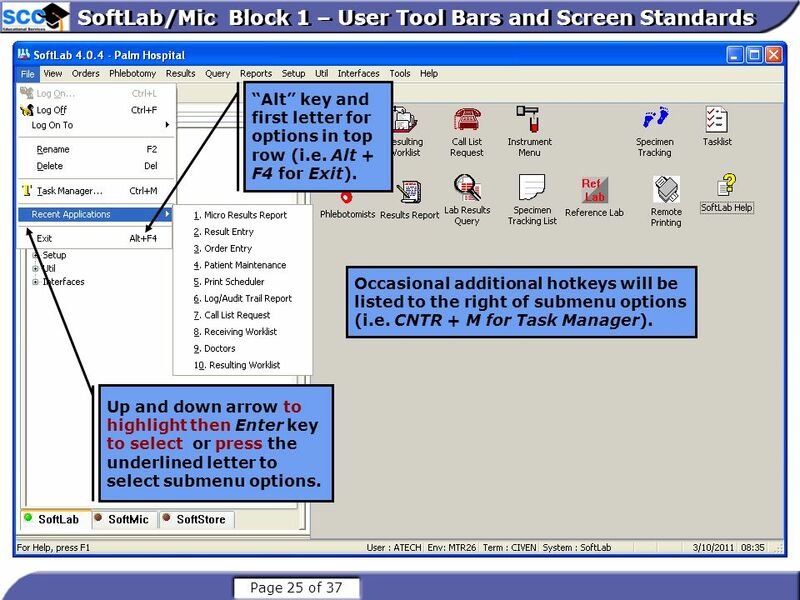 “Alt” key and first letter for options in top row (i.e. Alt + F4 for Exit). Occasional additional hotkeys will be listed to the right of submenu options (i.e. 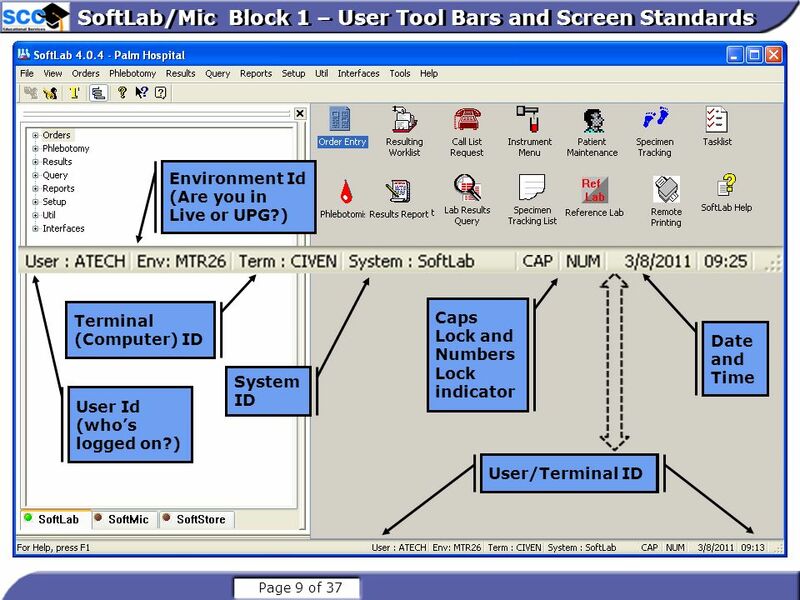 CNTR + M for Task Manager). 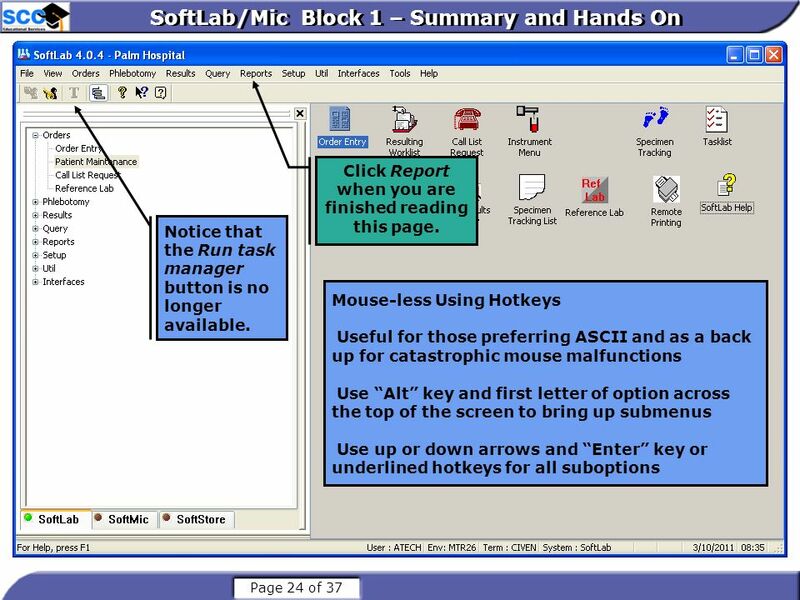 Up and down arrow to highlight then Enter key to select or press the underlined letter to select submenu options. Select the Search tab. The Contents tab in the comprehensive help screen operates just like a tree menu. You can click on the “+” to select from the submenu. An Error message may come up on some computers at this point. This is an anomaly in the system, if this occurs, proceed. 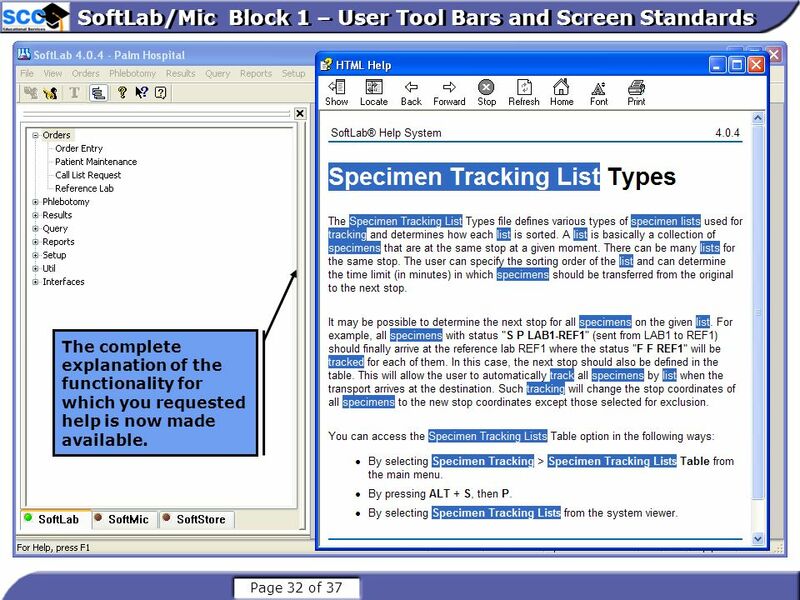 We have placed “specimen tracking list” into this text field for you. Click the List Topics button. 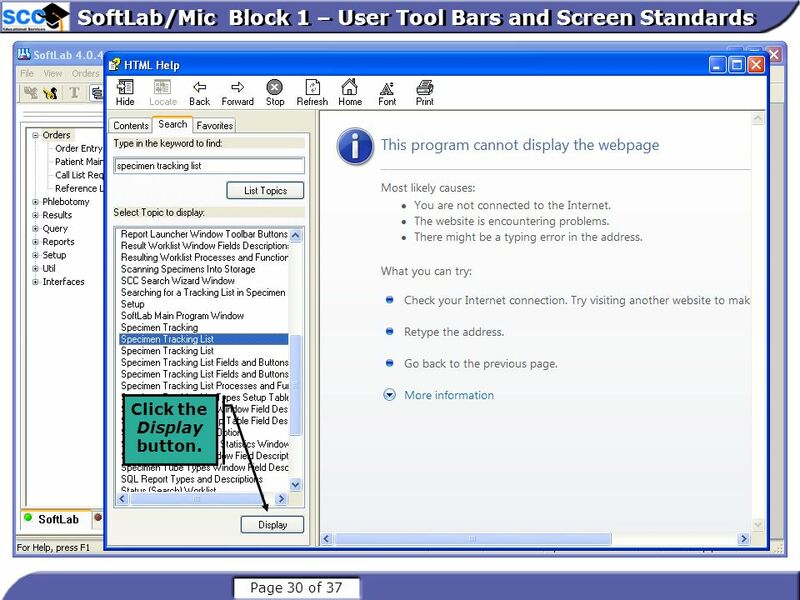 Click Hide to conceal the left-hand window. 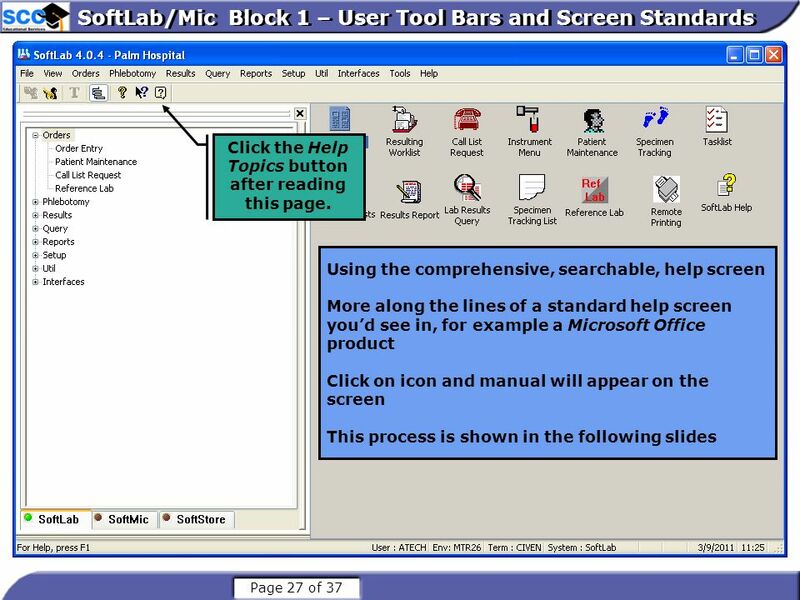 The complete explanation of the functionality for which you requested help is now made available. Select the Favorites tab. The Search tab allows you to search for a topic. You simply type in the topic that you want then click Display. 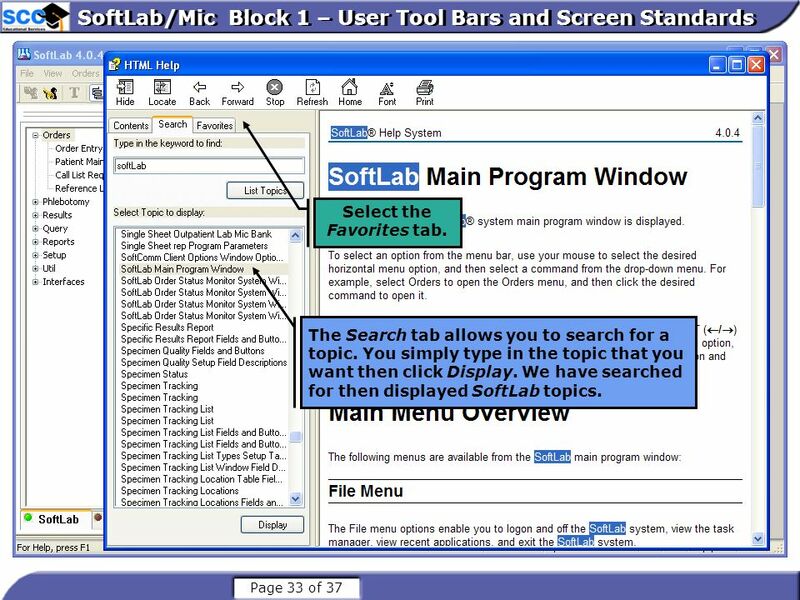 We have searched for then displayed SoftLab topics. The Favorites tab allows you to save the link to particular favorite search topics so that you can quickly return to them as reference. Click the Add button in order to add this link. Select Close. The link from Current topic has now been added as the first item under Topics in the Favorites tab. 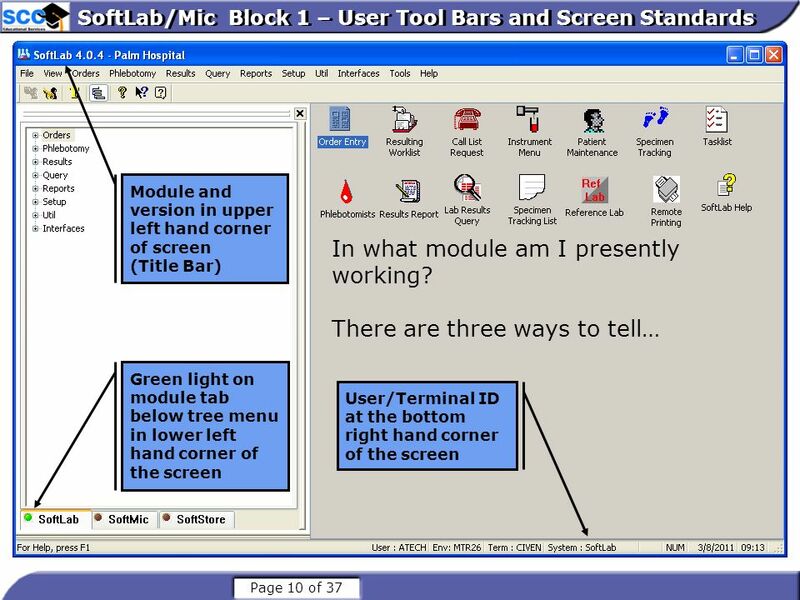 Download ppt "Module 1: BLOCK 1 / MAIN MENU"
Microsoft Office 2010 - Illustrated Fundamentals Unit C: Getting Started with Unit C: Getting Started with Microsoft Office 2010 Microsoft Office 2010.